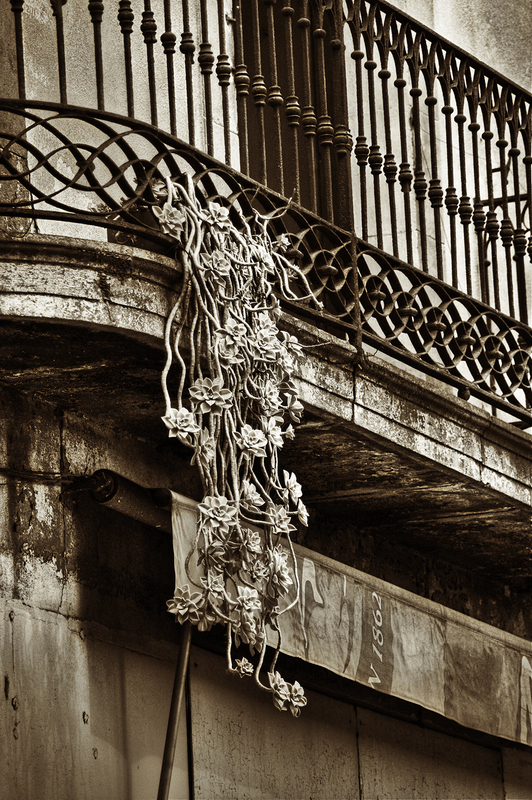 Not one of the seven wonders of the world but balconies with exuberant plants are not rare in Barcelona. This succulent specimen in particular is some sort of Graptopetalum or ghost plant according to my opinion. Maybe our botanic friends can help. What I was most interested in was the balcony anyway. The decay textures, the folded canopy, the historic architecture of the old part of town which I never get tired of admiring. well at least they will never need watering nice shot! lovely image. like the toning. I love this shot, and the plant looks like an ornament that could have inspired the work of Gaudi. Fantástica!. Muy bien vista. El procesado resalta las diferentes texturas.